In the fifth run of Model 92s, 7005001-6000, Waltham departs from the Vanguard grade. The Gray Book lists this run as being the Appleton Tracy & Co. grade but it is also the first run where the Riverside grade appears. The Handwritten Records show that 7005001-500 are ATC movements and 7005501-900 are Riversides. The last 100 movements are ATCs. The Riverside is made in two movement variations. 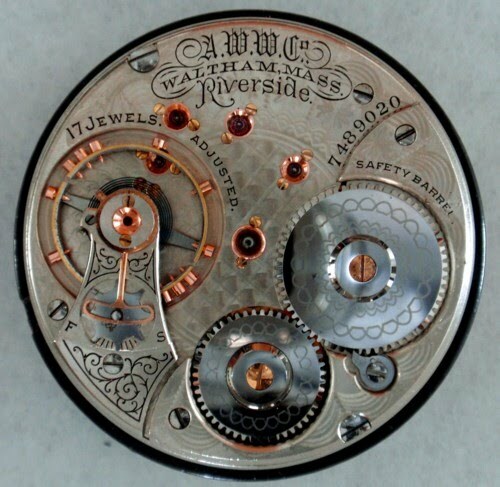 The first movements are made with the serial number in Position 1 (SNP1), directly under the words "Waltham, Mass.". The second variation has the serial number in Position 2 (SNP2). The SNP2 movements appear in two variations, the difference being the size of the word "Riverside" and a slight difference in the style of the letter "R". Variation 1 movements are found with the serial number in Position 1. 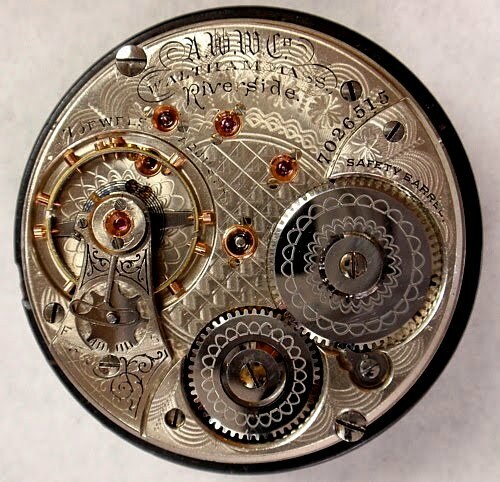 The current research would suggest that somewhere between 500 and 800 of these movements were made. 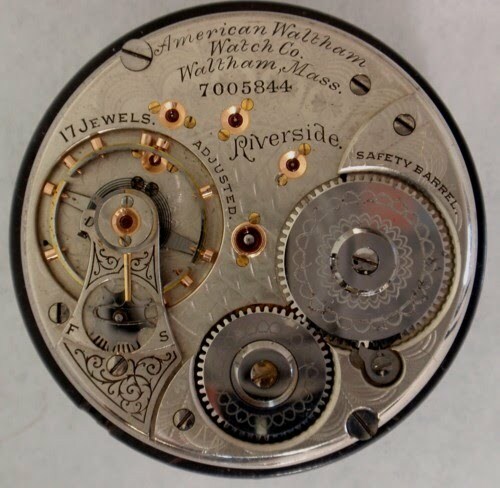 Variation 2 movements have the serial number in Position 2 with the word "Riverside" the same size on Variation 1 and Variation 2 movements. It will be larger on Variation 3 movements and the letter "R" will be slightly fancier. The current research would suggest that 500 of these movements were produced. Variation 3 movements have the serial number in Position 2 and the larger sized word "Riverside" with the fancier letter "R". The current research would suggest that 500 of these movements were produced.